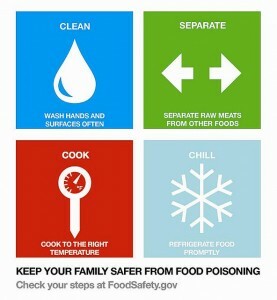 food safety, starting a small food business, and hot topics in food safety and health. Meat HACCP – research-based help for small meat and poultry processors. THERM – a web-based program for evaluating derivations in raw product processing or handling. HACCP Model Plans – model plans jointly developed by the Wisconsin Department of Agriculture, Trade and Consumer Protection (Food Safety division) and the University of Wisconsin-Extension for use by small and very small meat processors throughout the state. USDA Top Holiday Resources Information and links for safe handling of turkey from store to table.